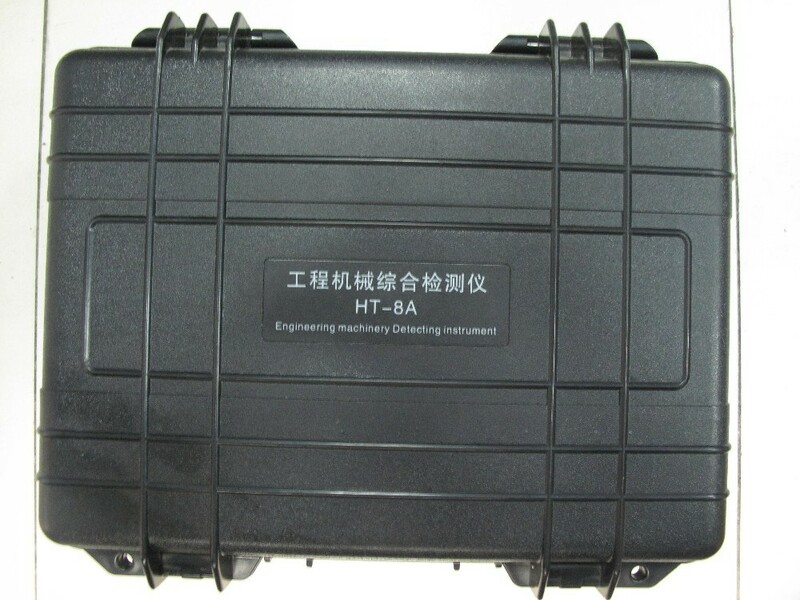 HT-8A is an multi brand diesel engine diagnostic tool with many functions. 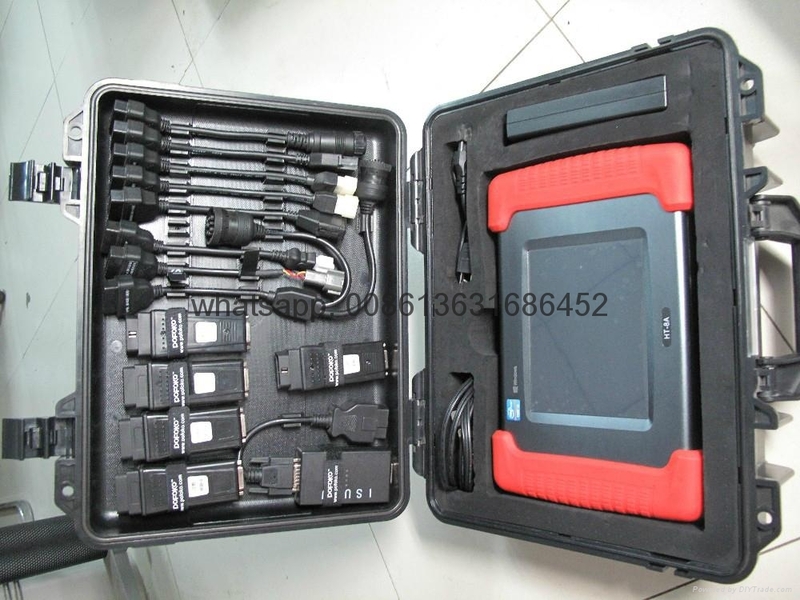 It contains detecting software system for trucks, excavators, construction vehicles and generators with different brands. Brands such as CATERPILLAR, VOLVO, CUMMINS, KOMATSU, ISUZU, KOBELCO, HINO, HITACHI, CASE, DOOSAN are all available. 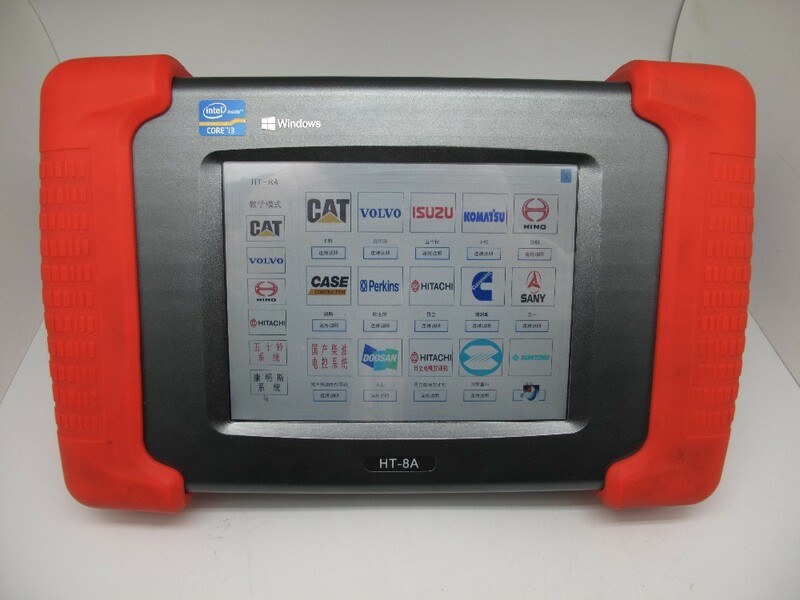 It can be used to scan and diagnose the hydraulic system, electronic control system, and engine system (EFI). Special functions such as data analysis, fault code reading & clearing, calibration of throttle, time and hydraulic flow, off-cylinder test, injector QR coding, ECM & ECU programming are supported. 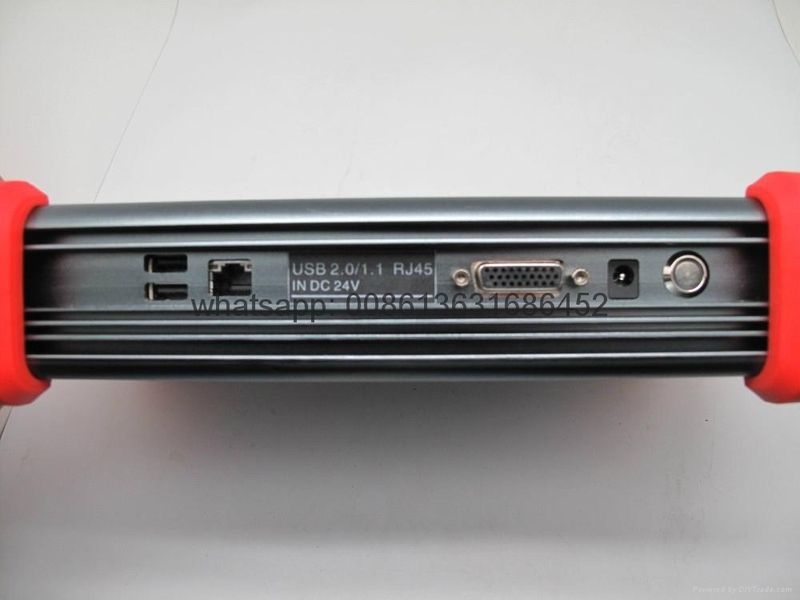 The HT-8A installed Windows XP operating system. 8" TFT display with touching screen operate. Core i3 CPU ensure fast working speed. Software versions in different languages are provided according to customer’s requests. All the industrial designs allow the tool works steady in temperature range from -30°C to 60°C and other bad conditions. 1, CATERPILLAR. Vehicles and equipment that support SAEJ1939 or 1708 communication protocol. Application: Hydraulic system, Electronic control system, EFI engine system. Functions: data analysis, fault code reading & clearing, calibration of throttle/time/hydraulic flow, off-cylinder test, injector QR coding, ECM & ECU programming. 2, KOMATSU. Equipment with CUMMINS engines. Application: EFI engine system. Engines such as SAA6D107-1, SAA6D125-5, SAA6D140-5, SAA6D170-1 are supported. 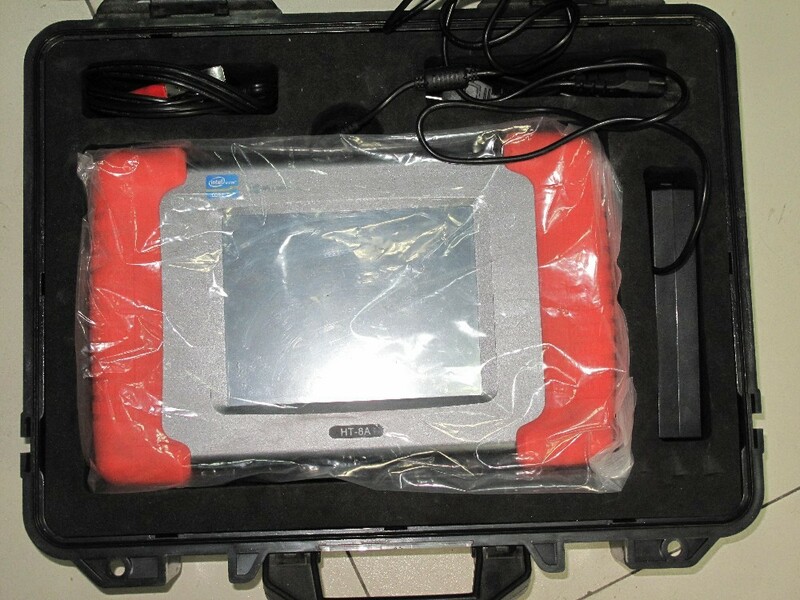 Functions: ECM & ECU programming, data analysis, fault code reading & clearing, off-cylinder test, GPS setting. 3, CASE. Equipment with CUMMINS engines. Functions: data analysis, fault code reading & clearing, off-cylinder test, injector QR coding, ECM & ECU programming. 4, HITACHI. All Hitachi series vehicle. 5, VOLVO. All Volvo vehicle. Functions: data analysis, fault code reading & clearing, off-cylinder test, calibration of hydraulic flow, GPS setting. 6, ISUZU. All series EFI engine. 7, KOBELCO. Excavators with HINO EFI engine. 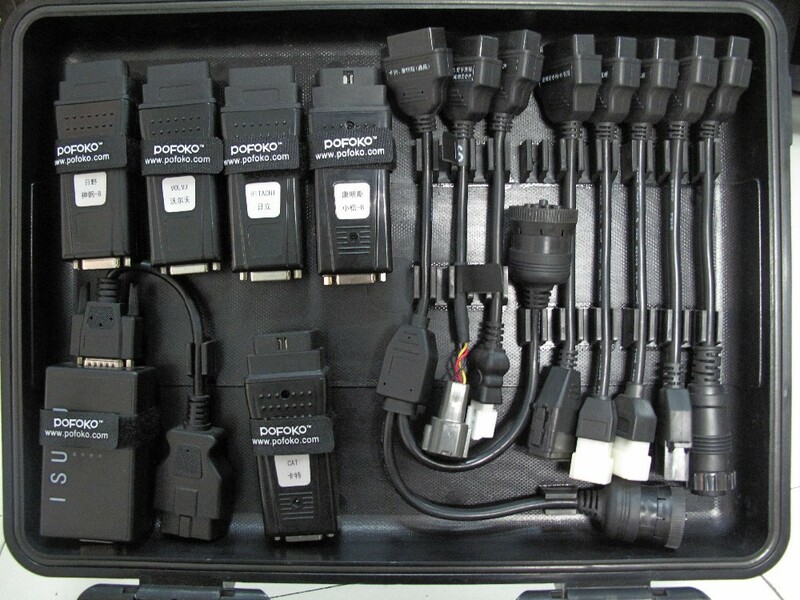 Functions: data analysis, fault code reading & clearing, injector QR coding, ECM & ECU programming.